Get the best, most reliable, and ANSI-compliant protection eyewear today! Everything you need to know in choosing safety glasses to fit you is provided below. For further assistance, give us a call at 1-800-243-6624 and our team of product experts will assist you! Different worker, different needs. Here at Seton, we make sure to have what will suit you best. Our safety glasses are available with or without magnifying properties. We have bifocal glasses with 1.0 to 2.5 diopter strength, or you could just pick from our line of regular safety glasses. ALL of our protective glasses have anti-scratch lens coating to prevent obscured vision that may result in injury. For an added layer of protection, top it up with anti-fog coating. 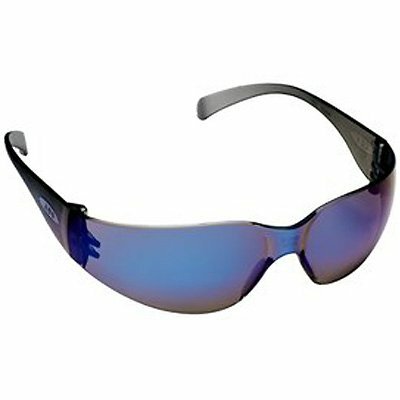 Anti-fog lenses are best for hot and humid work areas or in the case workers need to constantly move back and forth from warm to cold rooms. Clear: Our best selling and top recommendation, clear lens is great for indoor use, or when working outdoors with normal to low-light conditions. Clear lens allows up to 92% Visible Light Transmittance and provides true color recognition for unobstructed view. This is compliant with ANSI Z80.3-1996 traffic signal color requirements. Gray: Gray is great for outdoor use and protects the eye from excessive glare. Amber: Designed for indoor and low-light areas and enhances contrast. Brown/Espresso: Brown and/or espresso lens can enhance depth perception and ideal for outdoor use. Mirror Lens: Mirror lens reduces outdoor glare and comes in various shades including Red, Blue, Silver, Emerald. I/O Mirror: Indoor/Outdoor mirror lens provides 100% protection against UV-A and UV-B rays. SCT Lens: Spectrum Control Technology lenses are manufactured to provide superior protection against radiation, infrared, and ultraviolet rays. These can be used for both indoor and outdoor tasks. Choose from the leading brands! At Seton, we only carry the best and most trusted brand names. Take your pick from top-of-the line safety glasses from 3M, MCR Safety, and Sperian UVEX. 3M™ Eyewear: For good-old-plain safety glasses, opt for Virtua™ Safety Glasses. These glasses have contoured temples that will fit snugly without pressure. Virtua™ V4 is an updated version of Virtua™ series - this features a contoured, dual-injected temple style to relieve hot spots around the ears. If you’re in need of glasses with readers, we have BX™ series to cater to individual eye requirements. BX™ eyewear is equipped with adjustable length temple to get you the best fit. MCR Safety Glasses: MCR introduces innovation to the usual line of protective eyewear. For all-day wear, opt for Checklite® series. This is also a low-cost option that you can issue for site visitors. Bearkat® series features hybrid spatula temple, combining a flexible design with non-slip sleeves to allow maximum comfort. Checkmate® eyewear features a flexible bayonet temple that will fit most facial profiles without applying pressure behind the ears. Klondike® Plus series gives a sophisticated 5-point ratchet spatula temples to allow full customization of length and lens angle. If you’re looking for glasses with readers, Klondike® is the choice for you! Like Klondike® Plus, it comes with a extendable spatula so no need to worry about comfort and fit. All MCR Safety Glasses come with or without magnification properties so there’s a lot of option to go around! Sperian UVEX Eyewear: UVEX is known in manufacturing as one of the most durable and comfortable line of safety glasses. Take your pick from these styles: UVEX® Genesis Readers have magnifying options coupled with two-shot cushioned temples for better functionality and comfort; Sperian A800 features a one-piece and extra-flex design for better coverage while reducing tension behind the ears; UVEX® Tomcat features a spring-hinge temple that allows for a wider range of movement and won’t limit the user to the traditional 90-degree angle. From reliable eye protection, sleek style, and superb comfort - we have the pair that will suit your needs! The best part - these are all compliant with ANSI Z87.1 impact-resistance requirement for eye protection. For more product options, view our complete selection of Safety Glasses or give us a call today at 1-800-243-6624.